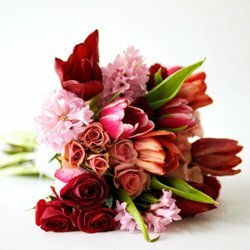 For flower deliveries from flower shop nationwide click on this link: flower bouquet deliveries. 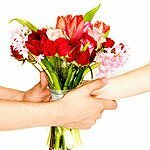 A search engine at your service to search for flower and gift shops all over Israel; click on the name of the place and get the flower shop which will give you professional courteous service with a special bonus with each order. To fall in love, to get excited and to make someone excited... order early the perfect flower bouquet for you loved ones for Valentine's Day. At the Prachim2u portal you can find a selection of flower shops from all over Israel, displaying a variety of flower bouquets, flower arrangements, gift boxes, chocolate bouquets, fruit bouquets, new mother gifts and more. Each shop displays the selection unique to it alone. At each of the flower shops you can view their product selection, enjoy a special bonus and send a luxurious gift to your loved ones anywhere in Israel and for every occasion and purpose. Flowers, the most beautiful most exciting gift you ever received. You must know that feeling of excitement you felt when receiving for the first time in your life a flower delivery from someone you love, someone who remembered you were celebrating a birthday or an important occasion and bothered to send you a colorful flower bouquet from the other side of the country. If you love being surrounded by flowers from all directions and have an artistic talent and an eye for esthetics, maybe you should consider being the shop owner of one of the hundreds of flower shops in Israel. Although hundreds of flower shops exist in Israel, the road to success is possible and it is all about the right kind of marketing, acquiring the right kind of reputation and choosing the right location for the shop, where there is a need for a flower shop. 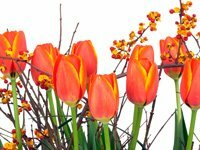 In this article we would like to describe the main types of flower shops and point out the challenges anyone wishing to open a flower shop will be facing. Why do flowers make us so happy? The answer probably lies in their abundance of colors and fragrances which capture the eye, the nose and the heart. Flowers are one of the wonders of nature and they give the world around us color and beauty. As you know, colors and fragrances have a tremendous effect on the human psyche, on one’s emotions and modes and many therapies focus on colors and aromas as therapeutic means and use flowers to do so. Apparently this is why flowers became such a popular gift and continue still to maintain their status even hundreds of years later. Flower deliveries are a gift which is always surprising and joyful and which carries with it a personal exciting message.